Property Location A stay at Hotel D'Anjou places you in the heart of Levallois-Perret, minutes from Espace Champerret and close to Arc de Triomphe. 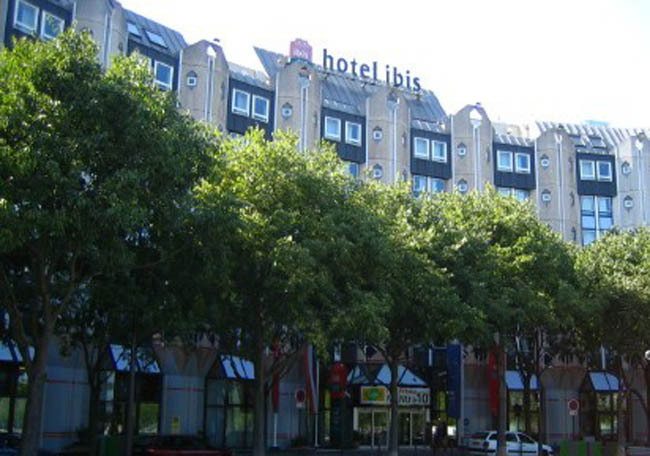 This hotel is within close proximity of Palais des Congres de Paris and Bois de Boulogne.Rooms Stay in one of 46 guestrooms featuring flat-screen televisions. Complimentary wireless Internet access is available to keep you connected. Bathrooms feature bathtubs or showers, complimentary toiletries, and hair dryers.Rec, Spa, Premium Amenities Make use of convenient amenities such as complimentary wireless Internet access, concierge services, and tour/ticket assistance.Dining Enjoy a satisfying meal at a restaurant serving guests of Hotel D'Anjou.Business, Other Amenities Featured amenities include dry cleaning/laundry services, luggage storage, and laundry facilities. A roundtrip airport shuttle is provided for a surcharge (available on request). 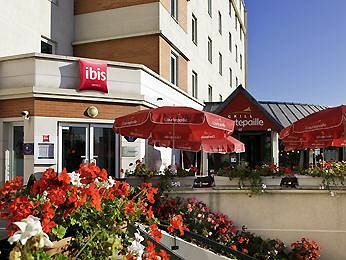 Property Location With a stay at ibis Paris Défense Courbevoie in Courbevoie (La Defense), you'll be close to Tour Total and Arc de Triomphe. This hotel is within close proximity of CNIT Convention Center and Les Quatre Temps Shopping Center.Rooms Make yourself at home in one of the 129 air-conditioned rooms featuring flat-screen televisions. Complimentary wireless Internet access keeps you connected, and satellite programming is available for your entertainment. Private bathrooms with showers feature complimentary toiletries and hair dryers. 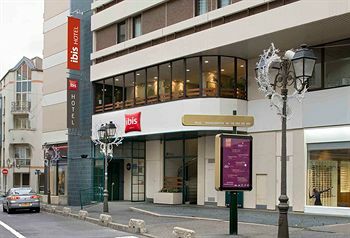 Conveniences include phones, as well as desks and complimentary newspapers.Rec, Spa, Premium Amenities Make use of convenient amenities, which include complimentary wireless Internet access and a television in the lobby.Dining Enjoy a satisfying meal at a restaurant serving guests of ibis Paris Défense Courbevoie. Quench your thirst with your favorite drink at a bar/lounge.Business, Other Amenities Featured amenities include a computer station, complimentary newspapers in the lobby, and dry cleaning/laundry services. Self parking (subject to charges) is available onsite. 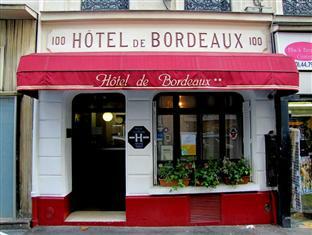 Property Location With a stay at Hôtel De Bordeaux in Paris (Gare du Nord - Gare de L'Est), you'll be convenient to Porte Saint-Denis and Notre Dame Cathedral. This hotel is close to Arc de Triomphe and Eiffel Tower.Rooms Make yourself at home in one of the 25 guestrooms featuring minibars. Complimentary wireless Internet access is available to keep you connected.Rec, Spa, Premium Amenities Make use of convenient amenities, which include complimentary wireless Internet access and tour/ticket assistance.Dining Quench your thirst with your favorite drink at a bar/lounge. Breakfast is available for a fee.Business, Other Amenities Featured amenities include a 24-hour front desk, luggage storage, and an elevator (lift). Self parking (subject to charges) is available onsite. 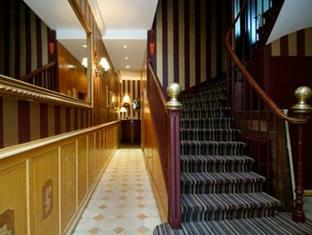 Property Location When you stay at Alliance Hotel Paris Porte Saint Ouen in Saint-Ouen, you'll be in the business district and close to Les Puces Saint Ouen and Arc de Triomphe. 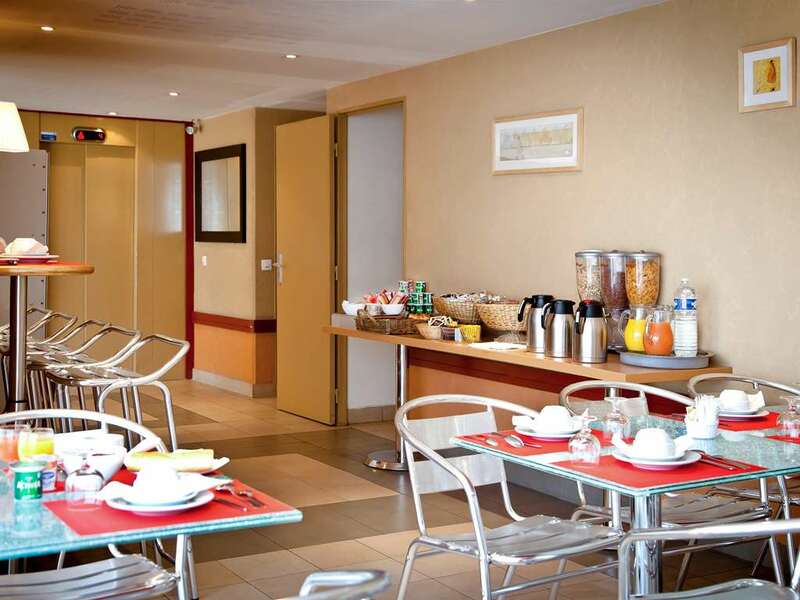 This hotel is within close proximity of Parc Clichy-Batignolles - Martin-Luther-King and Musee de Montmartre.Rooms Make yourself at home in one of the 120 air-conditioned rooms featuring flat-screen televisions. Complimentary wireless Internet access keeps you connected, and satellite programming is available for your entertainment. Private bathrooms with shower/tub combinations feature complimentary toiletries and hair dryers. Conveniences include desks and coffee/tea makers, and housekeeping is provided daily.Rec, Spa, Premium Amenities Take in the views from a terrace and a garden and make use of amenities such as complimentary wireless Internet access. Additional features include gift shops/newsstands and tour/ticket assistance.Dining Satisfy your appetite at the hotel's restaurant, which features a bar. Dining is also available at a coffee shop/café. Quench your thirst with your favorite drink at a bar/lounge. English breakfasts are available daily for a fee.Business, Other Amenities Featured amenities include a business center, complimentary newspapers in the lobby, and dry cleaning/laundry services. Planning an event in Saint-Ouen? 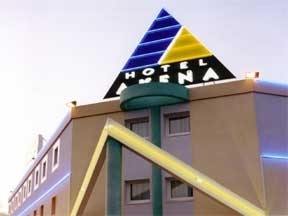 This hotel has 45 square feet (4 square meters) of space consisting of conference space and meeting rooms. Self parking (subject to charges) is available onsite. 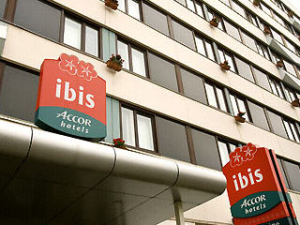 Property Location When you stay at Aparthotel Adagio Access Paris Saint Denis Pleyel in Saint-Denis, you'll be connected to the airport and close to Stade de France and Basilica of the Sacred Heart of Paris. This residence is within close proximity of Les Puces Saint Ouen and Saint Denis Basilica.Rooms Make yourself at home in one of the 107 guestrooms, featuring kitchens. Complimentary wireless Internet access keeps you connected, and satellite programming is available for your entertainment. Conveniences include phones, as well as safes and desks.Dining Breakfast is available for a fee.Business, Other Amenities Featured amenities include multilingual staff and an elevator (lift). Self parking (subject to charges) is available onsite. Property Location With a stay at Hotel Auriane Porte de Versailles in Paris (Gare Montparnasse - Porte de Versailles), you'll be minutes from Georges Brassens Park and close to Eiffel Tower. 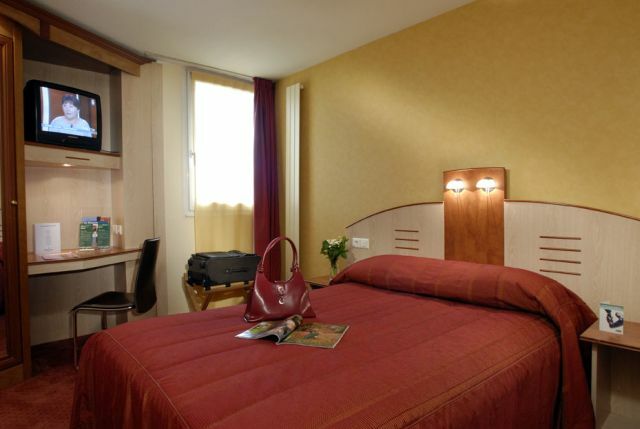 This hotel is close to Roland Garros and Arc de Triomphe.Rooms Make yourself at home in one of the 32 air-conditioned rooms featuring refrigerators and minibars. Wireless Internet access (surcharge) keeps you connected, and satellite programming is available for your entertainment. Private bathrooms with bathtubs or showers feature complimentary toiletries and hair dryers. Conveniences include phones, as well as safes and desks.Dining Buffet breakfasts are available daily for a fee.Business, Other Amenities Featured amenities include a 24-hour front desk, multilingual staff, and luggage storage. Self parking (subject to charges) is available onsite. Property Location With a stay at Residhome Bois-Colombes Monceau in Bois-Colombes, you'll be close to Parc du Millenaire and Arc de Triomphe. This residence is within close proximity of Leonardo da Vinci Engineering School and Tour Total.Rooms Make yourself at home in one of the 123 air-conditioned rooms featuring kitchens with refrigerators and microwaves. LCD televisions with satellite programming provide entertainment, while complimentary wireless Internet access keeps you connected. Conveniences include safes and desks, and housekeeping is provided weekly.Dining Take advantage of the residence's room service (during limited hours).Business, Other Amenities Featured amenities include a computer station, dry cleaning/laundry services, and a 24-hour front desk. Self parking (subject to charges) is available onsite. Property Location Located in Andilly, Residhotel les Hauts d'Andilly is close to Domont Montmorency Golf Club and Paris International Golf Club. 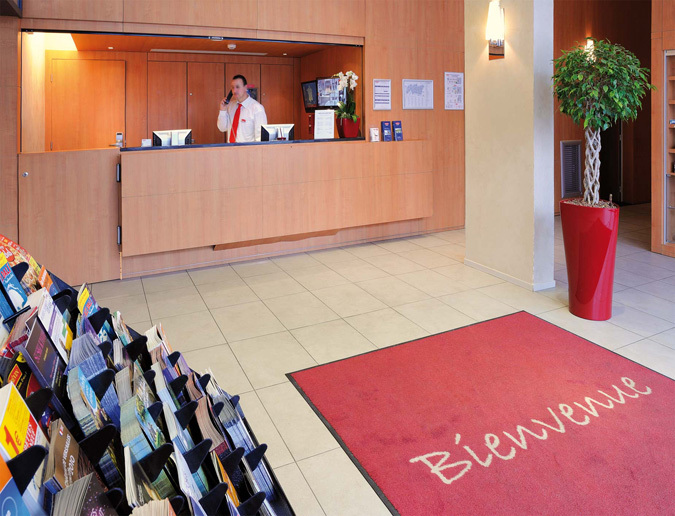 This hotel is within the vicinity of Chateau d'Ecouen and Quai des Marques.Rooms Make yourself at home in one of the 131 guestrooms, featuring kitchenettes with refrigerators and microwaves. Satellite television is provided for your entertainment. Conveniences include desks and complimentary newspapers, and you can also request cribs/infant beds.Rec, Spa, Premium Amenities Take in the views from a garden and make use of amenities such as wireless Internet access (surcharge).Dining Breakfast is available for a fee.Business, Other Amenities Featured amenities include express check-in, multilingual staff, and luggage storage. Free self parking is available onsite. Property Location Located in Neuilly-Plaisance, Residhome Neuilly Bords de Marne is close to Centre Commercial les Arcades and Rosny-sous-Bois Golf Club. 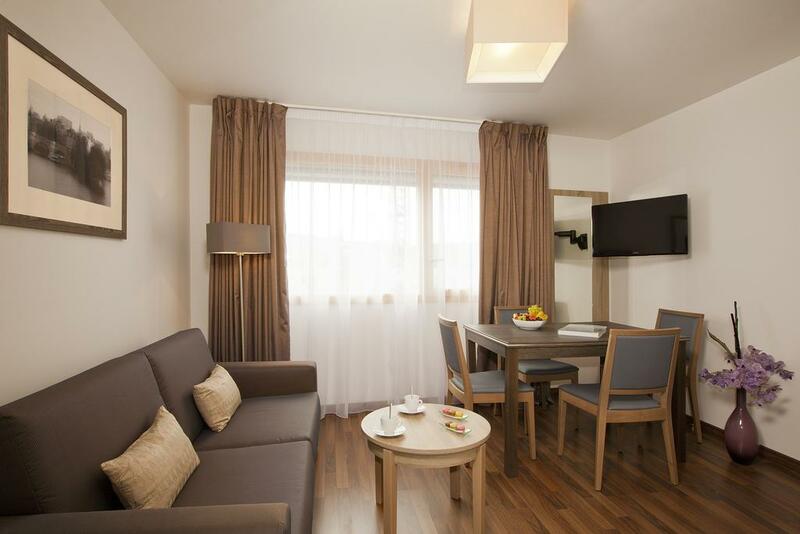 This residence is within the vicinity of Rosny 2 and Parc Floral de Paris.Rooms Make yourself at home in one of the 65 guestrooms, featuring kitchenettes with refrigerators and stovetops. Plasma televisions with digital programming provide entertainment, while complimentary wireless Internet access keeps you connected. Conveniences include phones, as well as safes and desks.Rec, Spa, Premium Amenities Make use of convenient amenities, which include complimentary wireless Internet access and tour/ticket assistance.Dining Continental breakfasts are available for a fee.Business, Other Amenities Featured amenities include a 24-hour front desk and an elevator (lift). Property Location You'll be centrally located in Paris with a stay at Hibiscus République, steps from Place de la Republique and close to Notre Dame Cathedral. This hotel is within close proximity of Saint-Louis Hospital and Canceropole.Rooms Stay in one of 26 guestrooms featuring LCD televisions. Wireless Internet access (surcharge) keeps you connected, and satellite programming is available for your entertainment. Bathrooms with bathtubs or showers are provided.Rec, Spa, Premium Amenities Make use of convenient amenities, which include wireless Internet access (surcharge) and tour/ticket assistance.Dining Continental breakfasts are available for a fee.